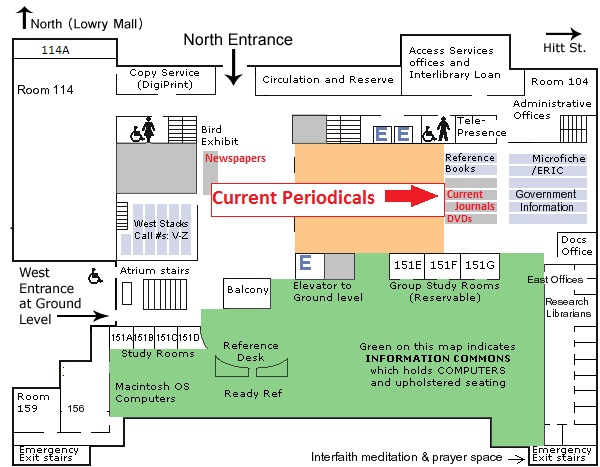 Recently received issues of print magazines and journals are shelved on the east side of Information Commons 2 in the middle of the first floor of Ellis Library. The issues are organized alphabetically by title. The majority of our magazines and journals are only available online. Check Journal Finder to see what titles are available and whether they are in print or online.